In our last blog, we talked about the benefits of eating clean. Embracing a balanced and moderate diet that is full of wholesome foods can help you attain a healthier lifestyle. #1: Be Mindful of What You Are Eating – Take time to savor the food you eat and enjoy it instead of always eating on the run or while doing something else. #2: Strive for Balance – Try balancing meals with equal portions of lean protein, unprocessed carbs, healthy fats and vegetables, which will leave you feeling more satisfied and are less inclined to overeat. #3: Load Up On Veggies – Eating clean means eating lots of vegetables because they are rich in fiber and full of vitamins. #4: Eat More Fruit – Fruits contain vitamins and nutrients that are a central and wholesome component of clean eating. Staying hydrated is incredibly important for our bodies and minds to function properly. Your body needs approximately 2 liters of water per day. If you don’t like drinking plain water, try flavoring it with lemon or throw a small handful of frozen berries into your water bottle. Herbal teas, green tea, and hemp tea are also great alternatives. Try to stay away from drinks that contain a lot of caffeine because caffeine is a diuretic which means it can actually make you more dehydrated. Also, avoid drinks that are high in sugar or contain a lot of additives. You do not have to give up meat or dairy to eat clean but you should focus on eating lean meats and moderating your dairy consumption to reduce the amount of saturated fat in your diet. Eating a lot of saturated fats increases the risk of heart disease which is the number one cause of death in the U.S., whereas incorporating more healthy fats—such as those found in hemp, nuts, and fish—into your diet helps to raise the level of good cholesterol in your body. When you eat meat, it should be lean and your portion sizes should be about as large as a deck of cards. Remain conscious of how much dairy you are consuming, and consider incorporating dairy alternatives into your diet, like almond milk. For many Americans the most daunting aspect of adopting a clean diet is shopping organic and reducing the amount of unnatural and processed foods that we eat. 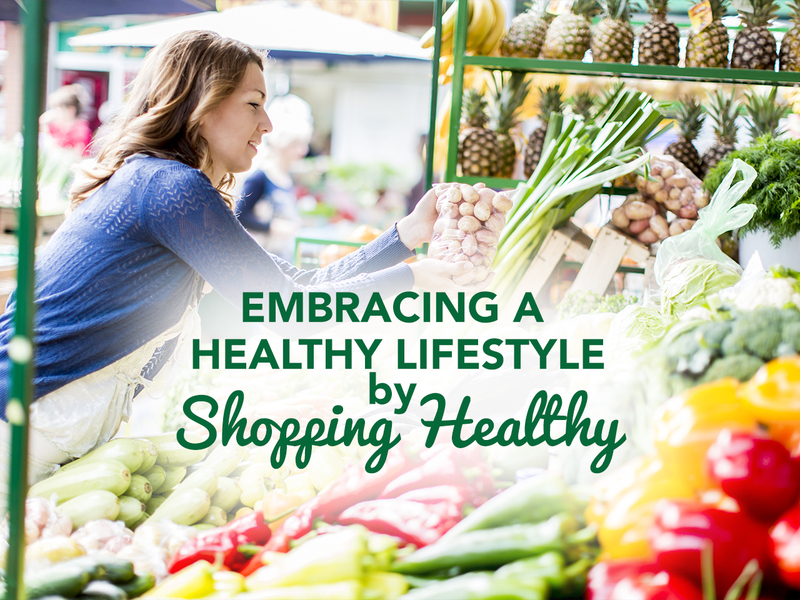 But, once you begin making it a priority to shop for healthy organic food, you won’t want to go back. Though organic products can be more expensive, they have more nutrients and are often richer in flavor. We are big supporters of organic farming because eating organic food helps to eliminate the health risks that are associated with consuming products that are grown with herbicides and pesticides. Steering clear of foods that have a long list of man-made ingredients can also help to reduce your health risks. When you are buying pre-packaged food, make it a habit to read the labels. It is a good rule of thumb to stay away from foods that have ingredients on the label that you can’t pronounce. This is a helpful list of the top ten food additives to avoid. Whole grains are good for us because they contain fiber, magnesium and selenium—all of which our bodies need. Refined grains lack these nutrients. When you buy bread, crackers, and other wheat-based products, look for the term “whole wheat” in the ingredient list. Incorporate other whole grains into your diet like brown rice, oats and quinoa. Instead of baking with refined white flour, try alternative flours such as whole wheat flour, brown rice flour, almond flour, coconut flour or oat flour. All of these flours can be used to make savory cakes, breads and muffins. Each one has a different nutritional profile that will benefit you. While the list of 8 action steps might seem daunting at first, the benefits of clean eating may be well worth the effort. Try incorporating one step at a time and keep a food/energy journal to document your progress. We’d love to hear about your own clean eating journey! Post your comments here!